What Do The Trump Years Signal For the Internet? 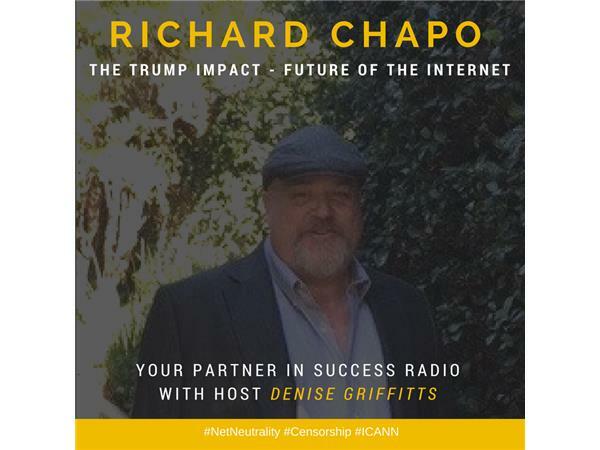 Richard Chapo is an Internet lawyer by day and avid traveler whenever he has time. Based in San Diego, Richard has been practicing law for nearly 25 years. He advises online businesses small and large on how best to comply with Internet laws while minimizing the chance of being dragged into litigation. Upon graduating from California Western School of Law in 1992, Richard joined the complex litigation business law firm Sulzner & Associates where he represented companies in multimillion dollar disputes. In 1999, Richard took a sabbatical to teach at the Chita State Technical University in Chita, Russia – a city in Siberia. Craving Mexican food, Richard eventually returned to California and opened a practice advising online businesses which he continues to operate to this day. Richard can be reached through his old school website at SoCalInternetLawyer.com or his side business DMCAAgentService.com. He’s offered to provide listeners of this episode with a free website review. Just mention my name, Denise Griffitts, when contacting him to get it.